Various student entrepreneurs are making money on their own terms by turning their hobbies into businesses. One of these young entrepreneurs is senior Emma Mathieu, a self-managed photographer. Mathieu came about taking photos for a profit due to the popularity she gained on social media. Through the use of social media, Mathieu was able to begin making a profit off her photography. Mathieu also displays her work at emmalymathieu.wix.com/photography, but she mainly operates through social media. Her inspiration to start photography came from her grandfather. “He was the photographer of the family and would take pictures for memories. He’s getting older and is going to pass soon, so it just came to the point that ‘well, someone has to keep doing that’ so I did.” Mathieu said. Mathieu has been doing photography for about two years and has had her website up for six months. She has great support from her family that encourages her work as a photographer. For Mathieu, photography is a passion that will always be important in her life even if it isn’t her primary career. Another Wildcat entrepreneur is artist Katie Deutch. 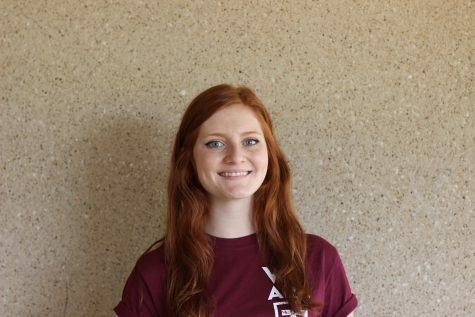 Deutch is a senior and has been passionate about art for most of her life. She is currently working towards turning her talents into a career by making commissions on specialized art pieces. “I think the next big step in being an artist is that you create your art. I got to the point where I had my own student voice, that is where you have your own distinct style in the way that you express yourself in your artwork. I really understood what I was capable of doing,” Deutch said. Deutch dreams of doing art for the rest of her life, eventually becoming a professional artist. This was a great inspiration for her to start doing commissions in high school. Deutch has been selling art since she was a sophmore in highschool. Her website at feedthestarvingartist.weebly.com is where she showcases her art style for customers. Deutch’s passion for art is one that she intends to utilize throughout her life. She wants to continue to sell pieces for commission in the future, but she also wishes to do more with her talents. For Deutch, her dream job would be to work as an art therapist and help people get through difficult feelings with art therapy. “I’m looking at Texas A&M Commerce because they have a really impressive visual communications program, right in the middle of downtown Dallas where you get to learn about the business side of art,” Deutch said. Kolten Yeck is a teen makeup artist with professional qualities. He is a makeup artist that specializes in beauty, drag and theatrical makeup. 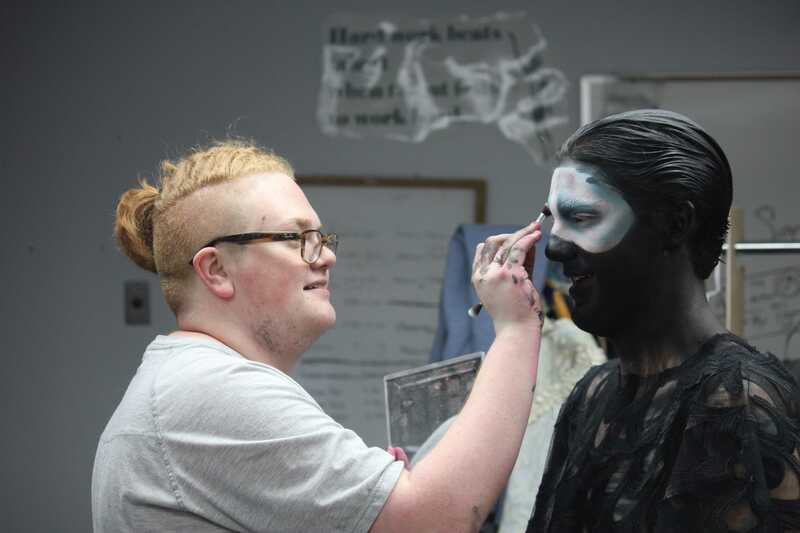 He has been the primary leader in makeup design for school theatre for the past three years while also working on personal projects dealing with the art of makeup. Recently, he has begun to do makeup for a profit. Yeck has a website at koltenyeck.wix.com/makeup. Even though social media is his most beneficial way of business, for Yeck, makeup is his way of creating art. “I’ve always really liked art, and I feel like makeup is the right medium for me. It helps me deal with a lot of the stress and anxiety of life, it keeps me going. It is very calming and helps me think, or not think, when I need it,” Yeck said. As makeup being a medium seen mainly for girls, Yeck had a rough start receiving support from those around him. His family was afraid of the repercussions that could come from him being a male makeup artist, mainly that he would be physically bullied in response. Support from his mother and other loved ones help to influence him to continue to grow in his craft. For Yeck, makeup is an art form that is very prominent in his life. This is a passion for more than just fashion. It is an art which he wishes to continue with in his future.